Homeowners may seek a glass company in Oak Grove, Georgia, for a variety of reasons. 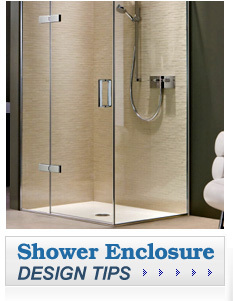 For instance, they may want new shower enclosures or need their sliding glass doors repaired. No matter what services you’re seeking, you can depend on the skilled and knowledgeable team at Kennesaw Glass & Mirror. Our employees have an average of 20 years of experience, so you can trust them to complete a precise and correct installation. For added peace of mind, we offer a one-year guarantee on installed products, a 5-year warranty on insulated glass, and other longer warranties. We provide customized glass in the latest styles and designs, including a wide selection of finishes, such as aluminum. Our in-house fabrication facility means that we can complete repairs faster than other companies. We offer a variety of specialty glass, including fire-rated, energy-efficient glass with Low-E coating, security glass, and sound reduction glass. Our glass company is locally owned and operated, and we place great emphasis on providing excellent customer service and ensuring you’re fully satisfied with our work. Want to learn more about why you should make Kennesaw Glass & Mirror your preferred glass company in Oak Grove, GA? Contact us today – one of our friendly representatives will be happy to speak with you.